My 1-2-3 Cents : Where Are the Heels? 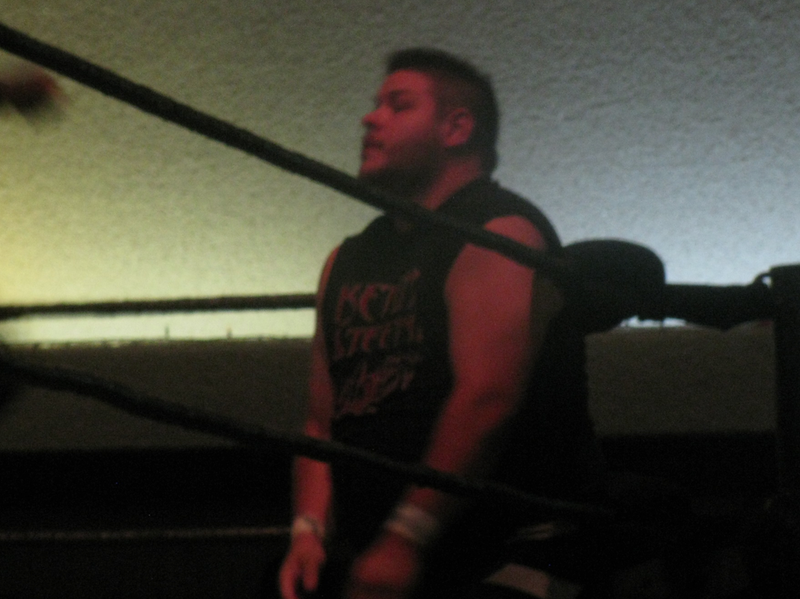 Last Saturday, (July 21) I attended Pro Wrestling Guerrilla’s ninth anniversary show, Threemendous 3. I had a couple of co-workers who decided they wanted to see what the independent wrestling scene was like so I agreed to go with them to the Reseda American Legion Hall in celebration of PWG’s anniversary. My co-workers ended up having to cancel their trip due to other obligations, but since tickets were already bought, I found replacement peeps and went anyway. Initially I wasn’t too excited about the line up. I felt the two title matches would be good but the undercard lacked any real stand out matches. After the show, I was pleasantly surprised at how good the show was with a couple of matches I didn’t expect much from ending up being really impressive. However, I noticed something that has been plaguing the Indy scene for quite some time. There are hardly any heels. In the eight matches featuring 22 wrestlers, I would say only three wrestlers acted and were treated like heels. Joey Ryan was his usual sleazy, arrogant self, who elicits half cheers and half boos from the audience. Since turning heel a year and a half ago or so, the Young Bucks (Matt and Nick Jackson) have amped up their annoying personalities and get a massive heel response from the crowd. Then you have guys like PWG Champion Kevin Steen, Sami Callahan and Chuck Taylor who by their actions should be considered heels yet they get more cheers from the audience than boos. I’m not saying wrestling fans should automatically cheer faces and boo heels, I believe in freely being able to treat wrestlers however you choose. I don’t care if WWE has Randy Orton coming out kissing babies, petting dogs and curing cancer, I don’t think I’ll ever cheer him. The bigger issue is it seems very few wrestlers want to be full on heels. Sure they may want to be a cool heel, which is the category I’d put Kevin Steen in, but few wrestlers appear to be full on dastardly heels. Maybe it’s not entirely the wrestler’s fault. Perhaps the fans are to blame. Because Indy shows are smaller and fans have more interaction with the wrestlers, instead of seeing them as strictly a performer in the ring, they see them as a friend they talk to after the show and this leads to the fans wanting to be supportive, but not critical. One of my biggest pet peeves with independent wrestling matches from the crowd perspective is the overuse of dueling chants. 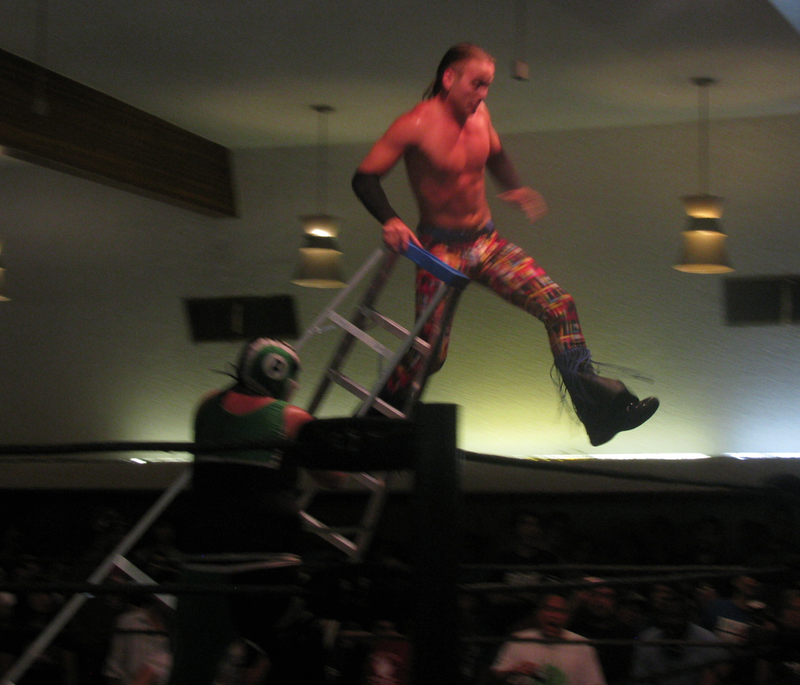 I believe it just about every match at the PWG show there was a “Lets Go Wrestler A,” "Lets Go Wrestler B” chant several times throughout the matches. Granted fans on the Indy level are more die hard wrestling fans than your normal WWE/TNA fan and appreciate the athletic aspect of what wrestlers do more than just wanting to hear a catchphrase or see the top guy. This may lead to wanting to see a good match up over seeing a specific wrestler. The problem I have with this though is that if you’re not rooting for a specific wrestler than the matches become unnecessary. Maybe not unnecessary, the matches become meaningless. Who cares who wins or who loses? As long as the match can get a “This is Awesome” chant the fans leave happy. Maybe it’s the old school fan in me, but I miss the days where you had a wrestler you wanted to see get his comeuppance and had a wrestler you wanted to see succeed. While I appreciate a well contested back and forth match and can acknowledge a heel’s talent, is it too much to ask for to have actual real heels in today’s wrestling universe? I think that’s part of why I enjoy Chikara as much as I do. (Come on, you didn’t think I’d write a blog and not get a Chikara plug in did you?) Between The Swarm, Tim Donst, The Batiri and Icarus, they have guys who relish in being heels and fans enjoying booing them. Anyway, that’s my take. What do you think? Should heels be more pronounced in today’s wrestling environment? Share your thoughts on Facebook or Twitter.